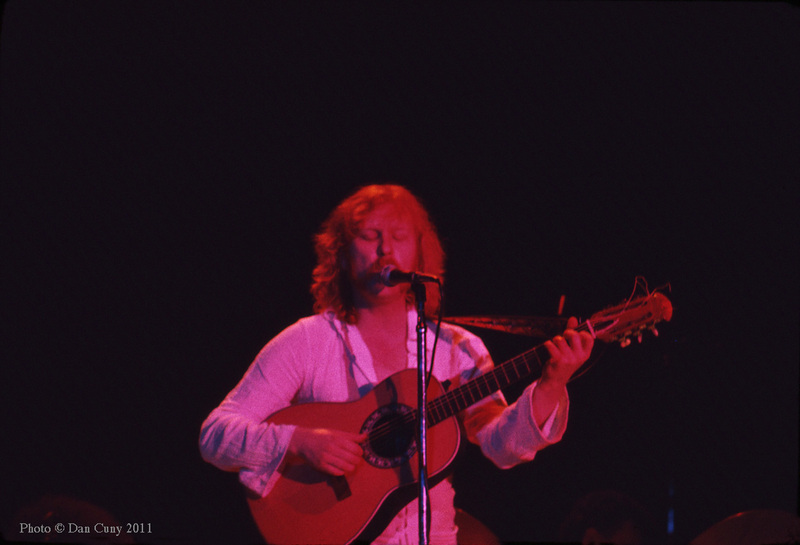 Jon Mark first established his name in the world of British music during the middle of the 1960s, mainly as a result of his work as a guitarist and arranger for Marianne Faithfull. (He can be heard on her album, Come My Way, released in 1965.) In the late 1960s he formed a band, Sweet Thursday, with Alun Davies (guitar) and Nicky Hopkins (keyboards). Their only album, Sweet Thursday, was released in 1969. (Alun Davies later became renowned for his work with Cat Stevens, while Nicky Hopkins played on recordings with The Beatles, The Rolling Stones, The Kinks, The Who, The Jeff Beck Group, and many others.) 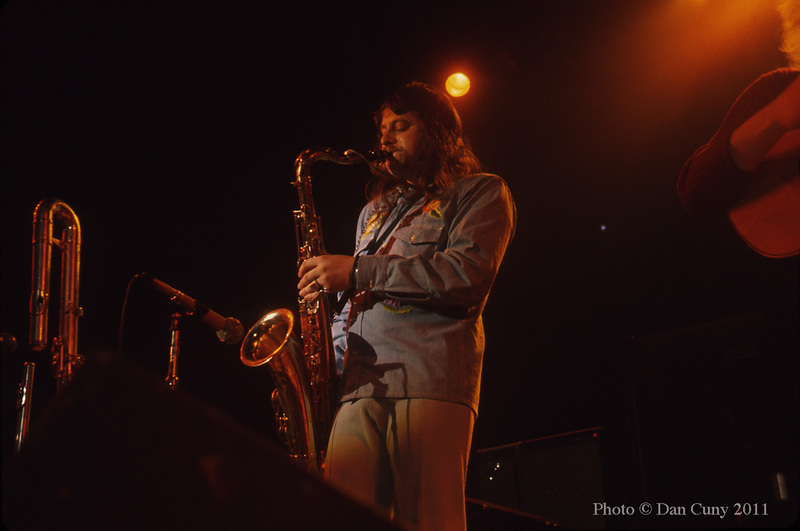 Also in 1969, Jon Mark was asked to join a new band being formed by John Mayall. Johnny Almond (saxophone, flute), a British musician who had made himself known playing with Zoot Money's Big Roll Band and The Alan Price Set, also was a member of John Mayall's band in 1969. He and Jon Mark appeared together on two albums with John Mayall: The Turning Point (1969), which was recorded during a show at the Fillmore East, and Empty Rooms (1970). The two musicians then decided to form their own band. 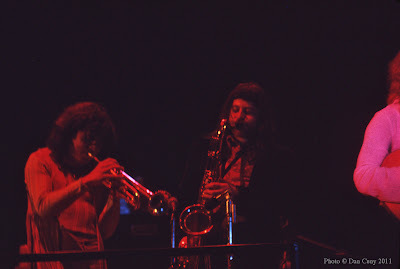 In addition to Jon Mark and Johnny Almond, the first lineup of Mark-Almond included Tommy Eyre on keyboards and Roger Sutton on bass. Mark-Almond, the first album by the band, was released on Blue Thumb Records in 1971. 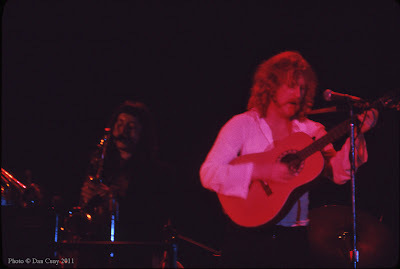 It featured five tracks (four written by Jon Mark, and one by Roger Sutton) that tastefully combined folk music with jazz and blues, creating songs of unusual depth and strong poignancy. In particular, "The Ghetto" and "The Tramp and the Young Girl" were sad and heartfelt compositions that touched on the dark side of life, with Jon Mark using his breathy voice to express the painful depths of anguish and regret. "The City" conveyed a more upbeat mood, with a loose and rhythmic feel that showed the musicians to their best advantage. In 1972, when Mark-Almond released their second album, Mark-Almond II, they had expanded their lineup and enhanced their sound with the addition of Dannie Richmond, an expert drummer known for his extensive work with Charles Mingus. 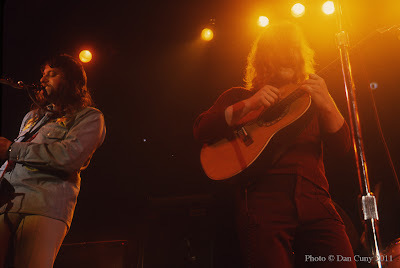 Among the seven tracks contained on Mark-Almond II were "The Sausalito Bay Suite/The Bridge," on which the band shared their musical impressions of the Bay Area, and "One Way Sunday," a catchy song in which Jon Mark pensively described the wayward life of a musician who is constantly on the road. When Rising, the third album by Mark-Almond was released (also in 1972) on Columbia Records, the lineup had been further expanded to include Kenny Craddock on keyboards and Colin Gibson on bass. One of the main highlights on Rising, and arguably one of the strongest tracks in the entire output of Mark-Almond, was "What Am I Living For?" It was a rueful song of clear-eyed acceptance, in which Jon Mark, offering a forthright vocal that had a particularly yearning quality, attempted to resign himself to the common inequities of human existence. By 1973, the lineup of Mark-Almond had undergone more changes. 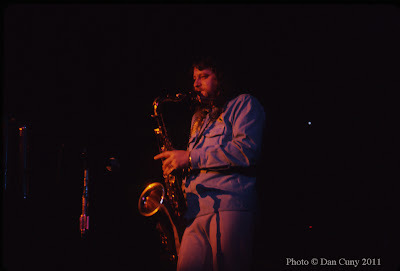 Tommy Eyre and Roger Sutton had departed, making way for Wolfgang Melz (bass), Geoff Condon (horns), and Bobby Torres (percussion). 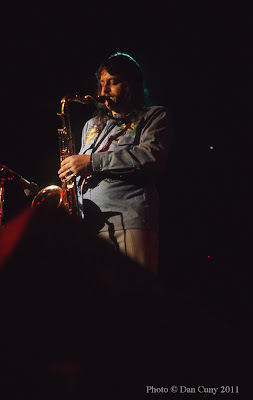 Alun Davies, Jon Mark's friend from the days of Sweet Thursday, also became a member of the band for a brief period. 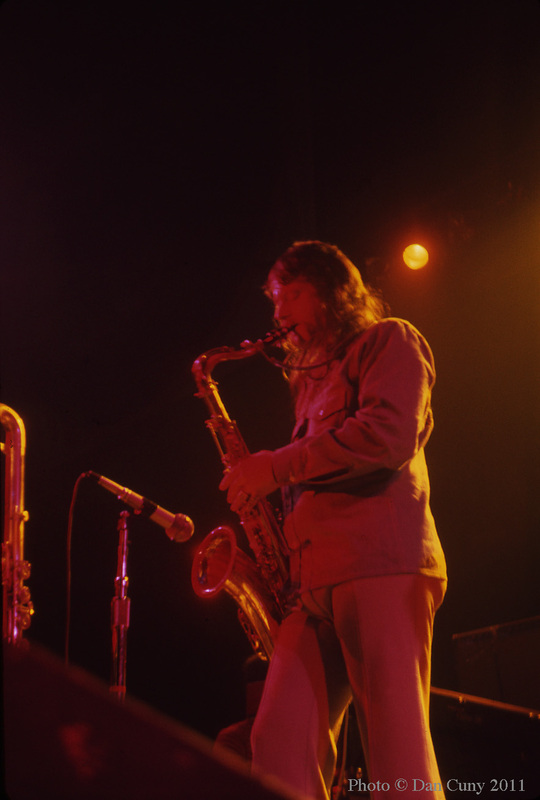 In this particular lineup, the jazz element of their music became even more pronounced, which resulted in exciting performances. 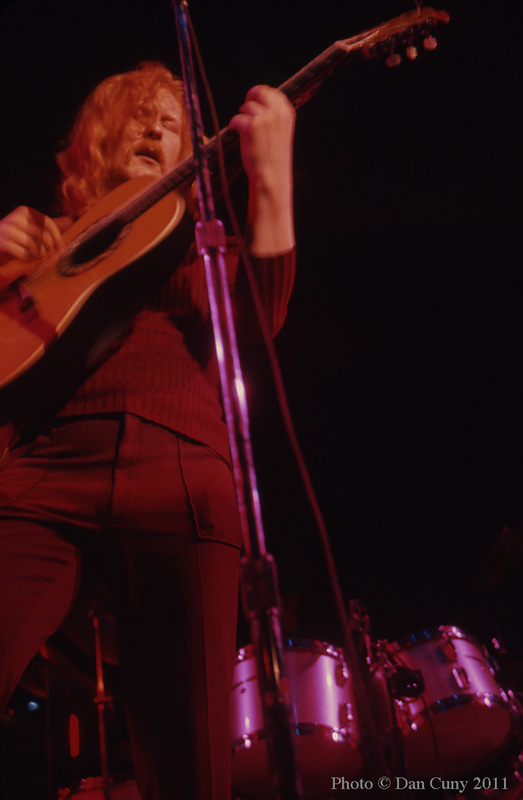 When these photographs of Mark-Almond were taken at performances in April and August of 1973, the band was arguably at its peak as a musical unit. David: My friends and I were excited to see John Mayall with Mark-Almond as the opening act. We had high hopes that they would reunite at the end and play songs from The Turning Point. 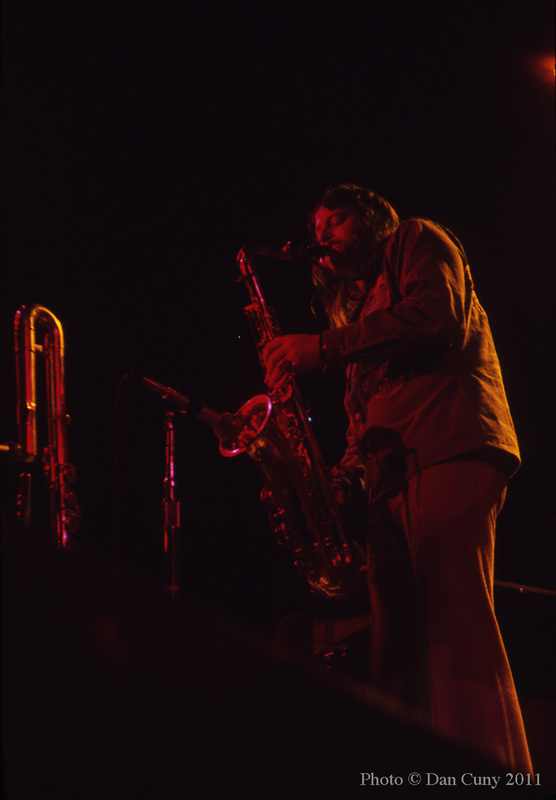 The concert was at Maples Pavilion at Stanford University. An unusual place for a concert, at least for us. We wanted to be up front and arrived early in the day, only to find that no one else showed up until shortly before the doors opened. As it turned out, there was some sort of preferential seating that allowed students to go in before us, even though we were first in line, so we had to sit back a few rows. I was not close enough to take decent photos. Luckily, Dan had his telephoto lens. I remember Mark-Almond's music being more intense than I had expected. Their sound had expanded with more percussion. Being in a seated venue, instead of a larger hall with standing room only, made for the best environment to enjoy the delicate songs written by Jon Mark and the long instrumentals. Jon Mark looked dashing with his flowing red hair and white puffy shirt. Mark-Almond did not return to the stage to perform with John Mayall, which was the only disappointment of the whole evening. We saw Mark-Almond twice after that, both times at Winterland. In August of 1973, we arrived early in the morning to secure a spot in front. During the long wait, Gary and I took a walk through the nearby Japan Center. I heard Gary say, "Mr. Mark!" to a passerby. I looked up and was surprised to see that it was, in fact, Jon Mark. He was not as recognizable with his hair pulled back. He graciously stopped and signed autographs for us. 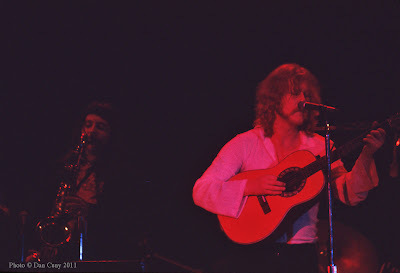 The concert billing for that night was David Blue with Graham Nash, Robin Trower, Mark-Almond, and Poco as headliners. We had seen Poco before and left before they came on stage. While we were waiting outside the stage door, I met Graham Nash. He came out of the door with his arm around his girlfriend (not Joni Mitchell), and walked up the street into the foggy San Francisco night. We saw Mark-Almond again just three months later. They were headlining the bill over Wishbone Ash and Robin Trower. Both opening acts were powerful rockers and put on tremendous performances. Mark-Almond had a hard time topping those acts. Toward the end of their set, Jon Mark announced that it would be the last time they played together. I remember hearing the audience around me calling out in disappointment. It made for an emotional and sad end to a great concert. 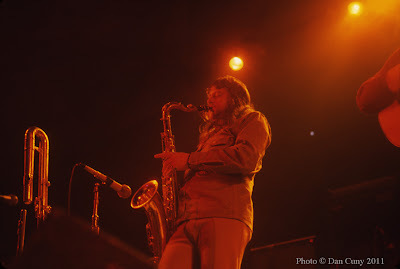 Gary: One of the really classic concerts we went to was John Mayall with Mark-Almond second on the bill, at Maples Pavilion on the campus of Stanford University. We only went to Stanford this once (they rarely had rock concerts there). We went early and were the only people waiting for the concert, until just before the doors opened. Stanford is a nice campus, and the many students with bicycles made it seem like a friendly place. Maples Pavilion was where they played basketball, and I remember that the hardwood floor had a "give" to it, with the audience seated on temporary chairs. 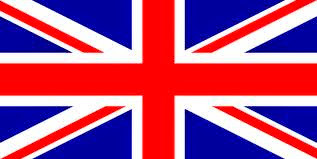 This was a remarkable concert, because both of the British bands had American jazz stars playing with them. 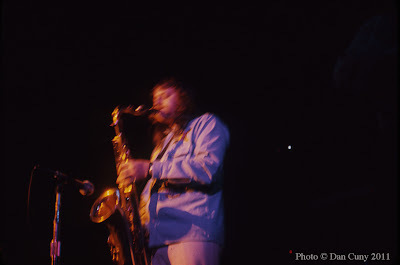 (Mark-Almond had Dannie Richmond, who played with Charles Mingus, on drums, and John Mayall had Blue Mitchell, who played with Cannonball Adderley and Horace Silver, on trumpet.) 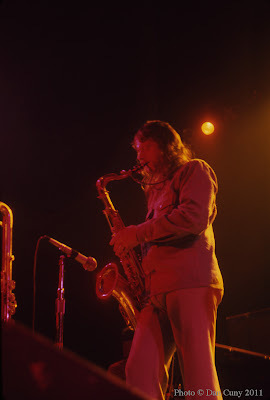 John Mayall's band also had one of our heroes, Keef Hartley, on drums. The music of both bands had intertwining roots, because Jon Mark and Johnny Almond had played on The Turning Point, one of John Mayall's best albums. Mark-Almond was always one of my favorites. They had a strong musical approach and sensitive lyrics, with great arrangements (Tommy Eyre and Johnny Almond were amazing arrangers). 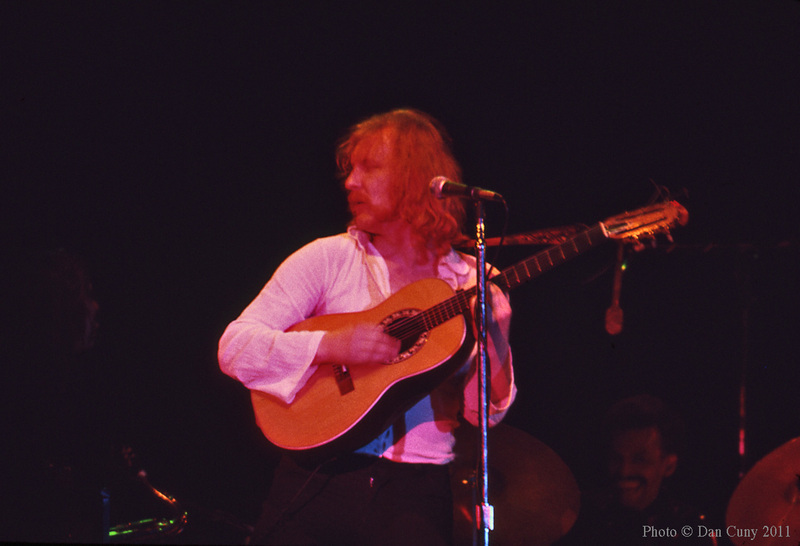 Jon Mark was a gifted songwriter, as well as being a solid nylon-string guitar soloist. I always admired Jon Mark's writing. I remember listening to the first Mark-Almond album at Michael's house (he told me about an article in Melody Maker, in which Jon Mark explained that he wrote "The Tramp and the Young Girl" after reading a newspaper report of two apparently unrelated bodies, presumably resulting from suicides, being found in a river). That song, with its melancholy melody and gentle descriptions of lives spun out to the bitter end, is a true masterpiece. 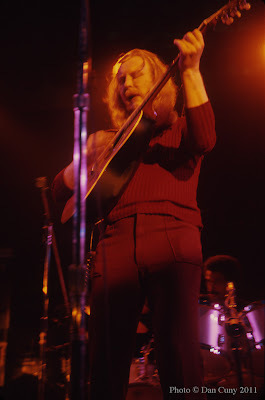 That type of writing, with jazz and blues overtones, is unique in rock music, and again shows the complexity and greatness of the music of that time. What Jon Mark brought to rock music greatly added to its depth and quality. 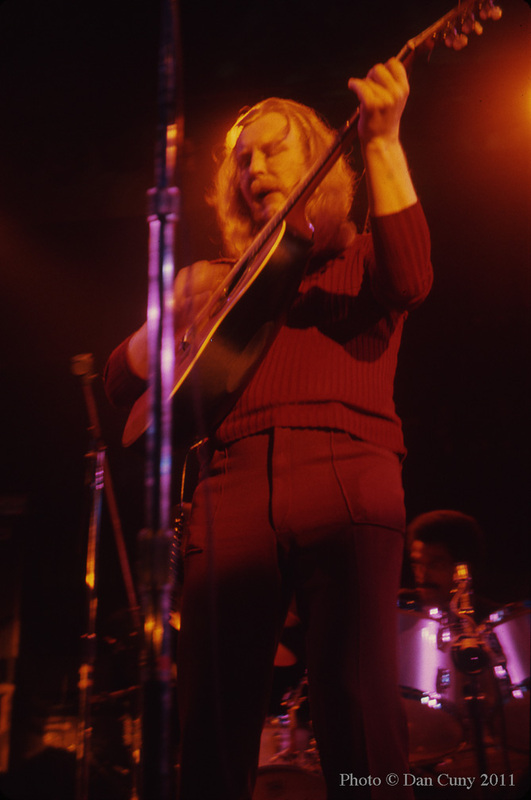 Songs like "The Ghetto," "The City," "The Sausalito Bay Suite," "One Way Sunday," and "What Am I Living For?" were simply incredible creations, with very distinct viewpoints and amazing melodies. The concert at Maples Pavilion was great. Jon Mark had a new, curved-back Ovation guitar. I remember that at the end of a drum solo by Dannie Richmond, Dannie shouted, "Down with the Ku Klux Klan, goddamn!!" Then the band stormed back in. Johnny Almond's playing on sax and flute was fantastic. I remember that he wore a kind of dark velvet jacket that contrasted with the white long-sleeved shirt that Jon mark wore. Dannie Richmond was dressed to the nines. We were lucky to see such a great jazz artist in any context, let alone with one of our favorite bands. Several months later, we saw Mark-Almond again, this time at Winterland. When we were waiting in line for the evening's concert with Robin Tower, David and I went walking toward Japantown (near the Miyako Hotel where the bands usually stayed), while Michael and Dan held our place. I remember seeing Jon Mark walking by, and I shouted out, "Mr. Mark!" Unfortunately, I became tongue-tied and couldn't even stammer anything after Jon Mark stopped and said, "Yes?" It was very embarrassing. 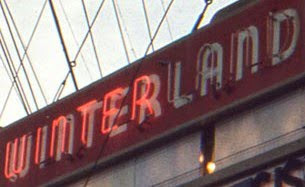 The Winterland concert had extended improvisation from all band members. Jon Mark had put on some weight, and Johnny Almond was wearing a denim shirt. Both concerts were great. Mark-Almond in all their formations were always interesting, and I miss their music. Jon Mark's 1975 solo album, Songs for a Friend, is good, too. He had many friends in Marin County and his poetic, melancholic, yet analytical nature put him in good stead in this Northern California area that he loved. Now I want to take some time and listen to those LPs. It'll probably bring me to tears. Dan: There are many things that I remember about this show (April 6). It was at a venue that I hadn't been to in the past, and it was with two bands that I wanted to see. 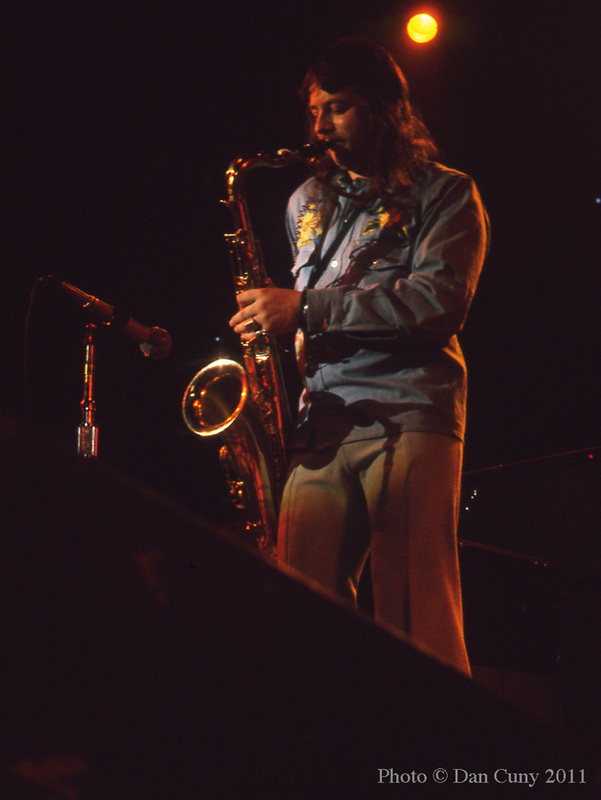 Mark-Almond was the opening act for John Mayall at Maples Pavilion on the Stanford campus near Palo Alto. I had some of the Mark-Almond albums, and I knew their music pretty well. I didn't think it was odd that these two bands were on the same bill, as Jon Mark and Johnny Almond had been in John Mayall's band. I remember the Mark-Almond set was fairly short, maybe forty-five minutes or so, and I can certainly remember the two of them standing together when they were playing. Jon Mark was taller, with wavy, blond hair, while Johnny Almond was shorter, with dark hair. I remember their music was softer and more melodic than some of the other bands that we were seeing at the time, but I liked their more acoustic based songs. Another odd thing that I remember about this show is that, since we were sitting on a basketball court watching them at one end of the pavilion, when they played some of their more upbeat music, the floor was moving up and down as the crowd was getting into the music. It was a great show, and although we never saw another band there again, what took place on that night was magical. The show at Winterland (August 11) was the second time we saw Mark-Almond in a few months. They must have been on the same tour and came back to San Francisco because of their fondness for the area. One of the things I remember about this show was noticing that Jon Mark was playing a different sort of guitar. He played an Ovation, a guitar with a rounded back, on many of the songs. Johnny Almond was a bit more visual this time, or it might have been that I was just watching him more. He played his sax and flute with a bit more flare, while Jon Mark seemed more subdued. If I remember correctly, they played the "The Sausalito Bay Suite," which had a great response from the crowd. I also remember listening to Jon Mark's voice, which was very smooth, with an almost velvety tone. He is a great musician and singer to this day. I don't remember the other musicians as well, because I was generally fixed on watching Mark and Almond, and taking their photos. I still enjoy listening to many of their songs. Michael: I had closely followed the music of Mark-Almond from the release of their first album, so I was greatly pleased to see them perform. I had always liked music that was on the downbeat side (Cat Stevens, Nick Drake, Leonard Cohen, Tim Buckley), so Mark-Almond was right up my alley. I regard Jon Mark as one of the most gifted songwriters of that time. He had a particular ability to write songs (such as "The Tramp and the Young Girl") that were painfully honest, engagingly thoughtful, and deeply moving. He had a rare sensibility and an unusual talent. 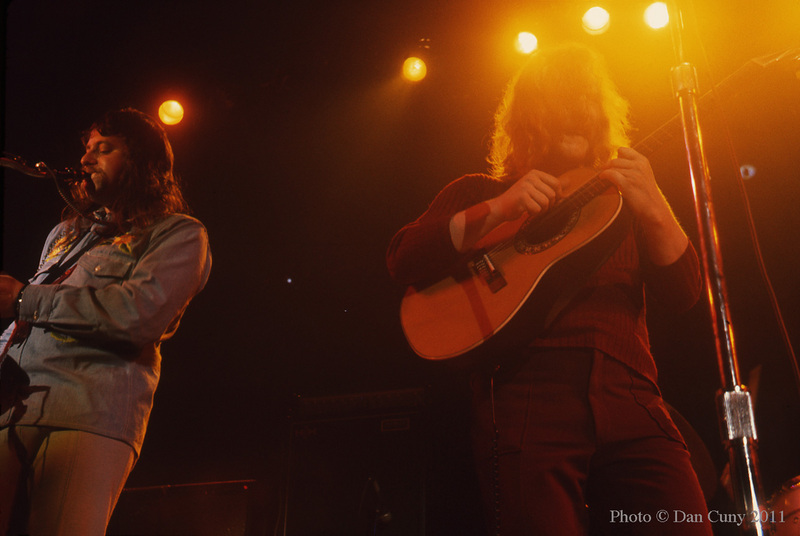 The lineup that we saw in 1973 was a bit more lively than the lineup that had been heard on their early albums. Mark-Almond had added a number of other musicians when we saw them, which resulted in the band having lot of power on stage, and their performances could be quite intense. The songs themselves were full of strong feelings, and Jon Mark sang them with the utmost conviction. Hearing Mark-Almond perform their music was not a lightweight experience. I remember that at Winterland, where we were closer to the musicians than we had been at the Maples Pavilion, it was easy to see that Jon Mark was working hard and sweating profusely. 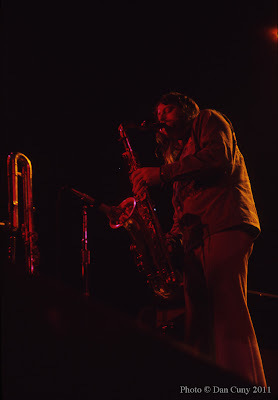 Johnny Almond also was a hard worker, blowing a solid stream of hot sounds out of his saxophone. I did not know a great deal about Dannie Richmond in those days, but even without having any direct knowledge of his musical history, it was clear that he was a cut above the usual sort of drummer. The music of Mark-Almond, with its blend of different textures and subtle shadings, was far outside of the mainstream even in the early 1970s, when rock'n'roll was considerably more pliant than it is currently, and it probably would have a hard time being heard nowadays. It seems that music of high quality is not valued as much as it used to be, particularly by young listeners. Mark-Almond represents a time when music and audiences were different in many ways. I count myself lucky that I was able to see Mark-Almond perform not once, but several times. Maples Pavillion was a cool place. I saw the Moody Blues there in 71 or 72. Great to see these pics. Thanks a lot. 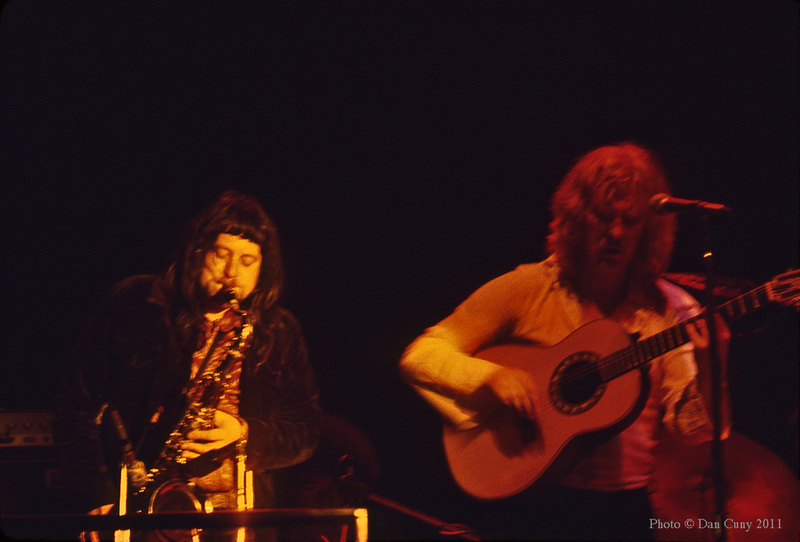 Saw mark-almond with Mayall in 1970 in Amsterdam. I treasure that experience.